Martha looks at the dirty dishes scattered across the counter and shakes her head. The smell of something burning prompts her to rescue the bread just in time. She notices a dust bunny hiding in the corner and quickly swats at it in hopes it will drift out of sight. What a busy day! Where is my sister? A feminine voice drifts her way from the conversation, and she can hardly believe her ears. Is that Mary? She leans around the doorway and sees her sister sitting at the feet of Jesus. It’s yet another frustration in a long, hectic day, and Martha finally snaps. “Lord, don’t you care that my sister has left me to do the work by myself? Tell her to help me!” (Luke 10:40). I can so relate to the first phrase Martha utters: “Lord, don’t you care?” It gives us such insight into her heart, into our hearts. So many times we believe “I need to do it all,” because if we can, then surely someone will care. We will be loved. We will be noticed. And maybe the restlessness deep inside will subside. I hear deep compassion and a tender invitation in Jesus’ response. “Martha, Martha,” the Lord answered, “you are worried and upset about many things, but few things are needed—or indeed only one. Mary has chosen what is better, and it will not be taken away from her” (Luke 10:41–42). And He closes with a cure for Martha’s insecurity: “Mary has chosen what is better, and it will not be taken away from her.” Isn’t so much of our striving so that something won’t be taken from us? Affection, reputation, relationships or affirmation. Jesus subtly reminds Martha that only He can offer the security her heart longs for most. And she doesn’t even have to earn it. This world will wear us out. The enemy of our souls would love to see us distracted by anything “good” that’s not God’s best. The people around us will always have expectations and demands. It’s up to us to make a different, better choice. Both Mary and Martha served Jesus. But on this day only Mary enjoyed Him. I don’t think this story is really about the specific actions of these two women; it’s about the attitudes behind their choices. Even our work can be an act of worship. That means the solution to the pressure we feel to “do it all” isn’t simply doing less. Instead it’s grasping even more how much we’re already loved. That’s what keeps our hearts at the feet of Jesus wherever we are, whatever He may ask us to do. P.S. 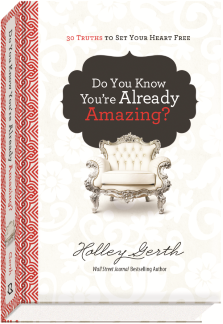 This post is an excerpt from my new devotional, Do You Know You’re Already Amazing?. It released last week! Inside the devotional are thirty truths from God’s Word, and each one will help set your heart free to become all God created you to be. If you’re looking for practical application, personal transformation, and encouragement along the way — this book is for you, friend. I think Mary & Martha have had more words written about them than any other women in the Bible!!! Such power analogies. I’ve been both. Mary and Martha. I think there are seasons for both personalities – I am currently in my Mary season of life but Martha likes to sneak in now and then and that is fine!!! Thank you for hosting this linkup each week. I do find that when I’m “doing” for God some of my best worship happens, and it’s my prayer that my doing can always be motivated by a Mary heart. “Even our work can be an act of worship. That means the solution to the pressure we feel to “do it all” isn’t simply doing less.” Yes! We are bombarded by messages to rest and embrace self-care. While I think our tendency is to overwork, this emphasis on me, me, ME isn’t the necessary shift in our hearts. What is the most important thing? Embracing more of Jesus! Yes, Holley, I’ll admit, I too see the dust bunnies and not the grace and love of Jesus right in front of me far too often. It is about our attitude and holding fast to His love and not the busyness of our calling. Thanks for the encouragement and all you do for others! Holley- I have been caught up in the “I need to do it all.” I’m trying to do less, but I guess it’s’ my personality and that’s harder to change. I need to remember that working can be an act of worship. Mary reminds me that in the midst of the to-do list, breaks with the Savior change perspective, give renewal of energy and create a heart for acts of worship! The honest words of Mary and Martha touched me today once again! It’s a message of love and courage to push through the dust and find the Holy One! Yes, knowing (even embracing) the truth that we’re already loved can help us set priorities and let some things go–guilt free. To enjoy Jesus as Mary did–that’s a worthy objective! 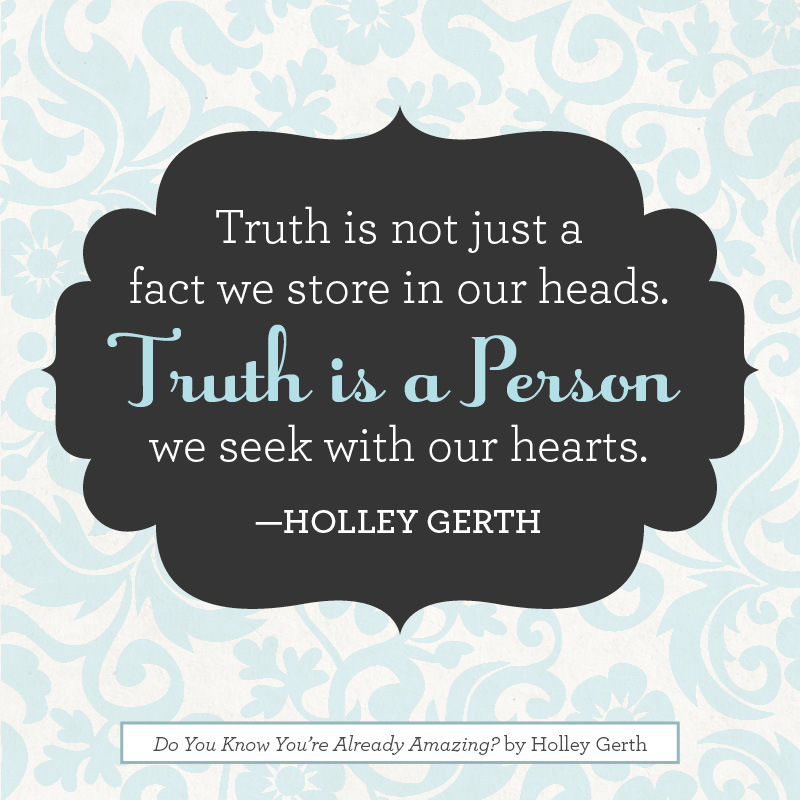 Greatly appreciate your wisdom, Holley! This very subject is on my heart this morning! Thank you for so eloquently, making this my help! I long to be the right blend of Mary and Martha! Yes I get it. Mary had made the best choice and “allowed” herself to get blessed by choosing to soak in Jesus. Martha maybe didn’t believe she was worthy of that and probably needed therapy for that. But after years as a Christ follower, the simple fact in this story remains with me: Jesus and the others had to eat! If Martha had done what was best for her and also quit all responsibilities with Mary to sit with Jesus, no one would have eaten that night-literally. And that wasn’t accepted in the culture of that day. Even if Martha changed her heart and had the right attitude of serving the Lord while she worked in the kitchen, she was still forced to be the one to prepare the food. It was mandatory. Mary willingly chose to let it all fall on Martha. What a beautiful devotional. I think we can all identify with that striving and restlessness! I loved what you said about not being what each of them was doing, but what was going on in their hearts. Thanks for sharing and for hosting!